Every time we come to visit my family in New Jersey, we are making a point of making a trip to New York City. 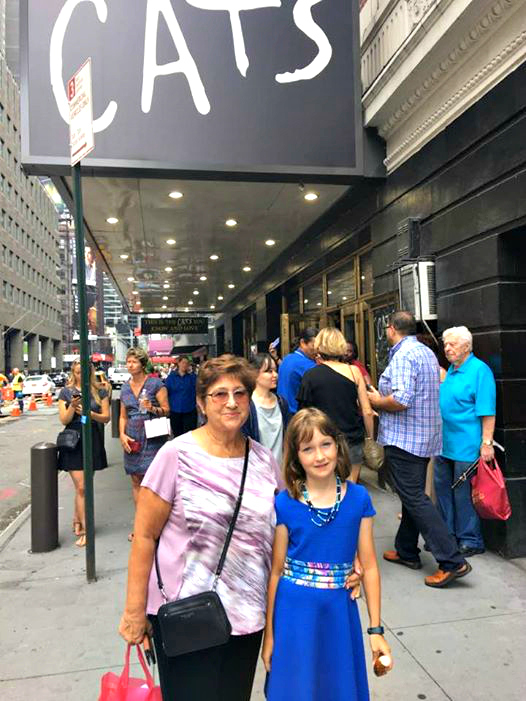 Before we visited museums, mostly National History and Metropolitan, but this time Smarty was old enough to see her first Broadway show. I am grateful that our jobs allow us to provide these kinds of experiences to Smarty. All she needed to do was to pick a show, and she very firmly said that the only show she wants to see is Cats. We have Cats DVD at home with mostly London cast, and she listens to Cats songs quite often on her music player, so I can understand her choice. I did not even know that Cats are back on Broadway - I saw this show still in the 20th century in Winter Garden theater on Broadway. Now the venue changed to Neil Simon Theater slightly off Broadway on 52nd street, but the performance was all that I could have expected from the Broadway show. Choreography was gorgeous and the voices were wonderful. In fact, I liked this performance better than the ones I've seen before. While Smarty loved the show itself, she found New York absolutely overwhelming. Usually her sensitivity to visual input only manifests itself in her dislike of fiction movies, but this time crowds, blinking advertisements, smells and sounds of a big city clearly bothered her. My Mom really wanted to spend more time in New York with her, but Smarty begged to go back home immediately after the show ended. 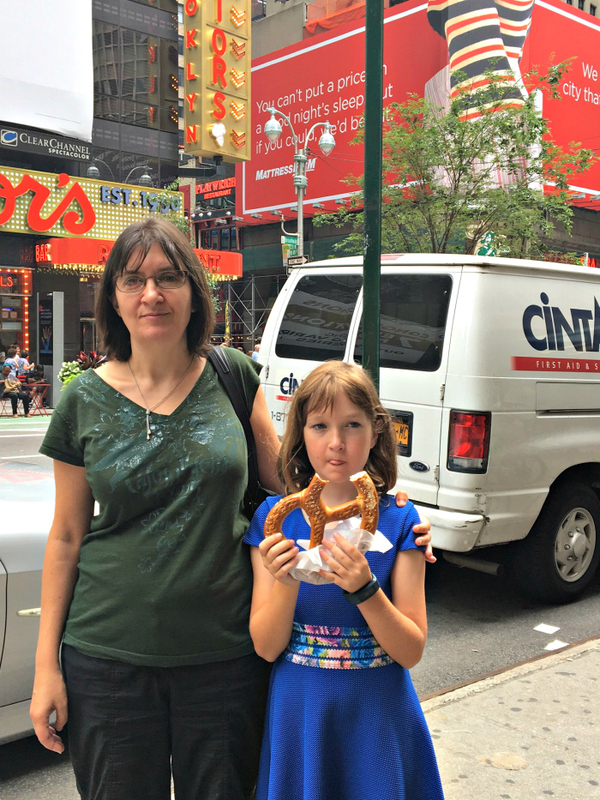 I don't blame her - I worked in Manhattan for five years, but now it looks like there are twice as many people around Times Square and Broadway as there were before, and our daughter, who is growing up in a suburban area, is simply not used to it. But we will keep up the tradition and hope that she might master more excitement for this busy place when she is older and, hopefully, outgrows some of her sensitivities. Do your kids enjoy visiting big cities? I am the same way. I can only enjoy crowds in short bursts. Going to see Broadway shows is so much fun! K has been wanting to see Hamilton for some time. Tickets are so $$$! I love Smarty's dress, and what a neat experience! Matilda was a very good adaptation of the book, with some added intricacies. 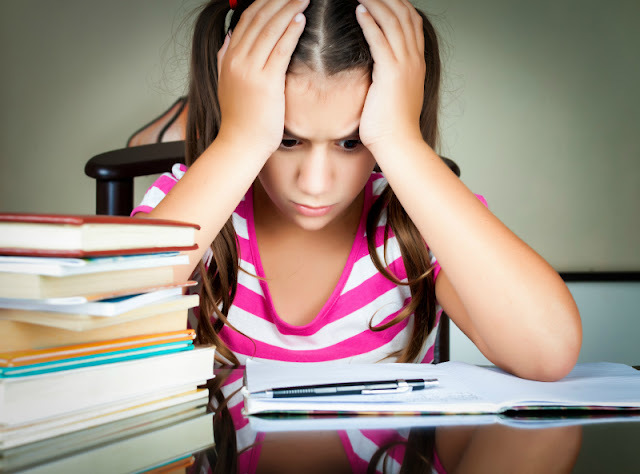 My kids don't like crowded environments. Jeff was just up in NYC and hated it with a fiery passion.